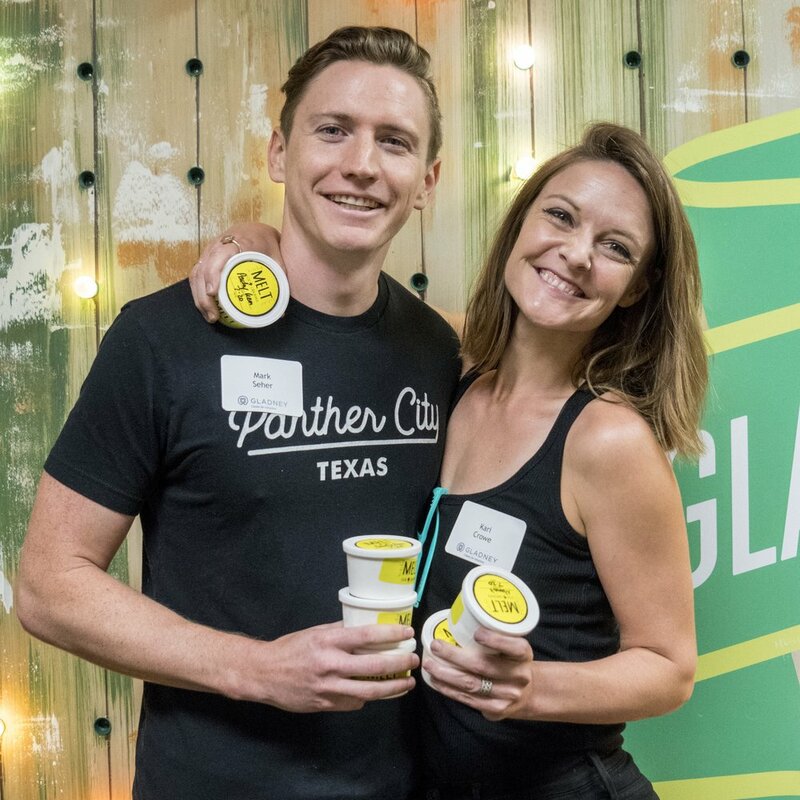 After leaving our register with a scoop of Beans in a vanilla waffle cone you’ll find polaroid prints of Gladney families displayed on our non-profit partnership wall. Every year we partner with one local non-profit who is changing the world, which is exactly what Gladney is doing. For every sale of Beans we donate a portion to our friends at Gladney Center for Adoption. Gladney is based right here in Fort Worth, but is changing lives all around the world. During our tour of the Gladney Center, we got to hear about the many ways that they support children, families, and expectant mothers every single day. Gladney got started in 1887 with a mission to find loving homes for infants and toddlers and that mission continues to this day. Whether a family is adopting domestically or internationally, Gladney treats each adoption uniquely. Their goal is to get to know each family and customize the adoption experience to meet their individual needs. New Beginnings is Gladney’s foster adoption program where they assist the Texas Department of Family and Protective Services by recruiting loving adoptive homes for children currently waiting in the Texas state foster care system. Most of these children are over the age of seven and have been removed from their homes because of abuse or neglect. As international adoptions have decreased, the team at Gladney has put extra effort toward giving these children the loving and permanent home they deserve. Due to the many misconceptions about teen pregnancy and adoption, Gladney started the AdoptED program to empower students to be able to navigate their futures, goals, and dreams. While it’s easy for us to mark a successful adoption as signed papers, Gladney considers a adoption to be a lifelong journey. Their Family for Life program extends far beyond the post adoption services required by law or offered by most other agencies. Gladney’s Residence (dorm-like living) provides birth moms with a secure environment, support and encouragement, medical care, educational opportunities, and more. Our team had the opportunity to prepare and enjoy dinner with some of these strong and brave women. The team at Gladney has expressed that one of the most important ways everyone can help is by being educated and helping spread awareness. Start conversations with others about adoption and their experience with adoption. To learn more about Gladney’s and Fort Worth’s long adoption history, stop by their visitor center or schedule a tour. Are you a Gladney Family? Has adoption been a part of your families’ story? Post a video in your Instagram stories, tag us, and we would love to share some of our favorites.